By Sacredprey, January 11 in Getting Started - Read this First! 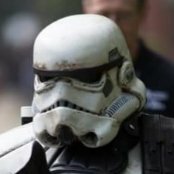 im having a hard time finding 501st reputable venders for the first order storm trooper armor can someone point me in the right direction please. I think Jim Tripon does the FOTK too. I know he did the Phasma armour for one of our troopers (and it looks amazing) so maybe give him a look up on Facebook.